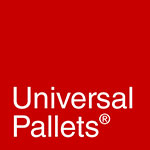 While the Government is still hoping for a good deal, and not a no-deal Brexit, Universal Pallets recently attended an NAPD (National Association Of Pallet Distributors) where we discussed the impact of a no-deal on the industry. In particular, concern has been raised over the fact that with a no-deal, the UK would become a ‘3rd country’ and therefore require all wooden pallets travelling between the UK and EU to be heat treated. 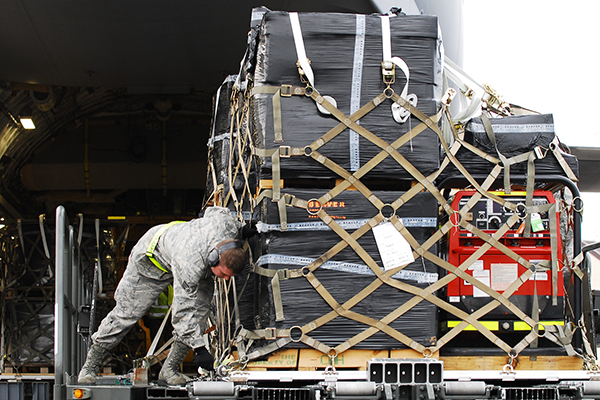 Currently wooden packaging materials can travel throughout Europe without heat treatment, but if moving outside the EU must be heat treated and stamped. Pallets or pallet wood is heated in a special kiln to eliminate any pests or microbes that may be living on or inside the wood. This is important in global trade for obvious reasons, but wasn’t considered important throughout the EU where countries are mostly linked by land, and so would have similar or the same microorganisms already. While that is still the case, the EU rules in-place mean that without a Brexit deal the UK defaults to a ‘3rd country’ and therefore all wooden packaging materials need to be Heat Treated and appropriately stamped before they travel into the EU, and indeed, out of the EU to the UK. A requirement that has never been necessary before. Heat treating is a fairly simple process, however it takes extra time and costs a little more than using non heat treated pallets. While in their report, DEFRA were sure that there are enough facilities in the UK who have the correct equipment to provide heat treated pallets, the members of NAPD weren’t so sure. Heat treating so many pallets on a regular basis could cause a backlog. And so supply of these heat treated pallets could be slower or require advanced notice, which is exactly the type of small detail exporters don’t need on top of the headline difficulties they’ll experience getting used to a no-deal Brexit Britain. The process is slightly smoother for brand new pallets than recon pallets, as they can be constructed from wood that has been heat treated ahead of assembly into a finished pallet. The recon pallets, on the other hand, need to be heat treated as finished products, their old HT stamps must be removed and new HT stamps applied. There is the obvious cost implication for UK exporters to the EU, this is an additional cost that probably hasn’t been taken into account. At this time, the UK Government has indicated that it would not hold EU imported wooden packaging materials to the same standards, however this would need to be confirmed in the unlikely event of a no-deal. There is also a supply chain implication in that exporters will need to anticipate a longer turnaround time or be flexible enough to provide advanced notice compared to their usual. While we hope that the coming days will reveal we’re leaving the EU with a deal, we know to prepare for a worst case scenario too. So in the event of a no-deal Brexit, please do get in touch with your pallet partner when planning your future exports to the EU.